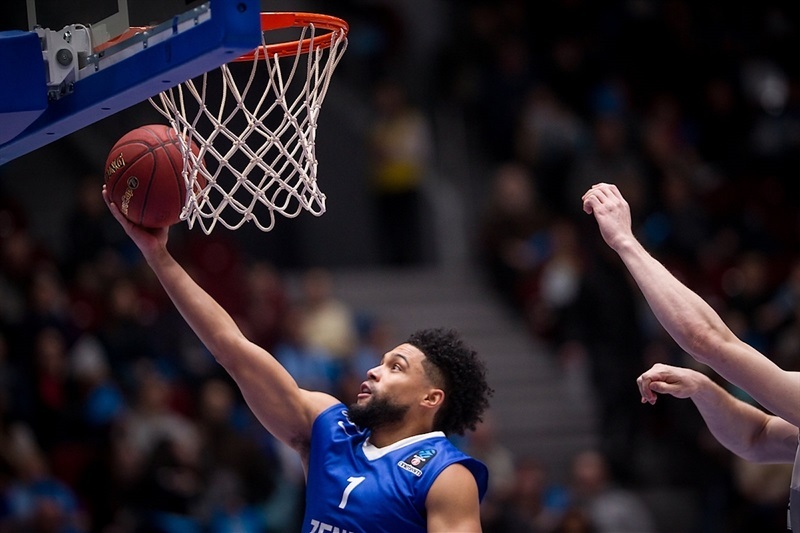 Zenit St. Petersburg turned to its offense and set a club-record for points scored in a 7DAYS EuroCup game en route to a valuable 113-100 win over visiting Lietuvos Rytas Vilnius in a Group F clash on Wednesday. 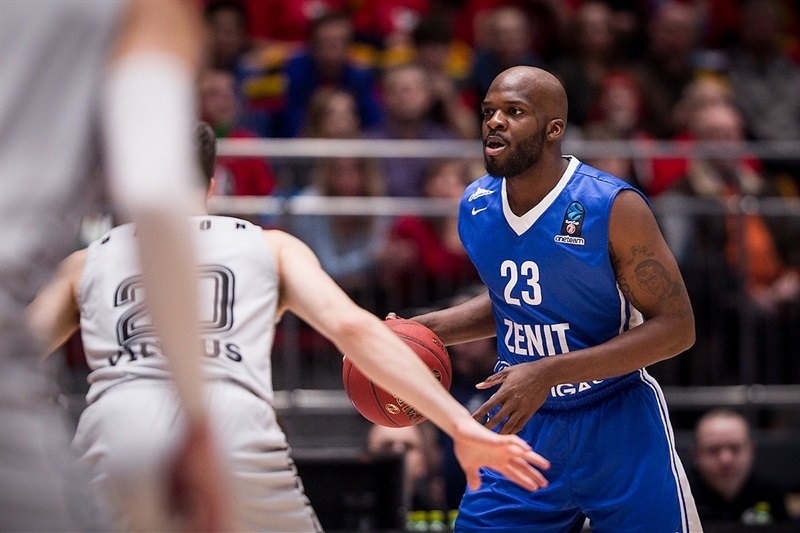 Zenit improved to 3-2 in the group and edged ever closer to a quarterfinals berth. Not only did Zenit set a club record for scoring, but also with 35 two-point shots made and tied the club record with a team performance index rating of 120. 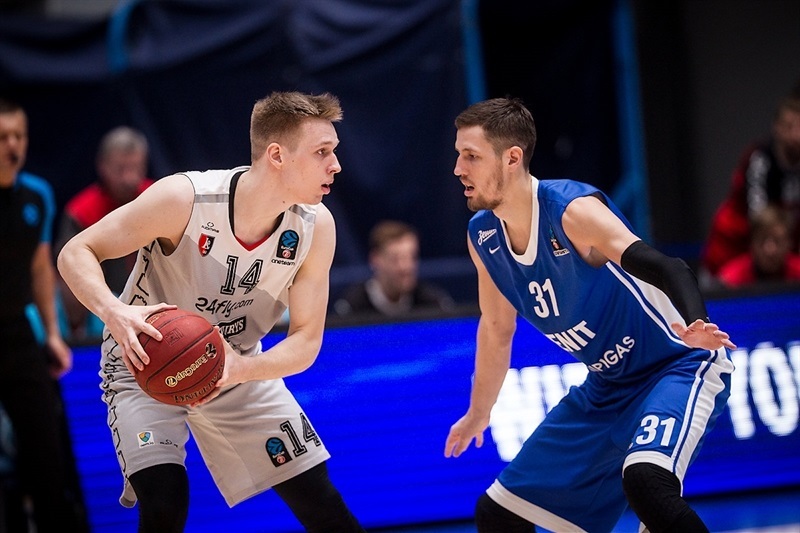 Rytas shattered its record for blocked shots with 11 and for free throws made with 31. 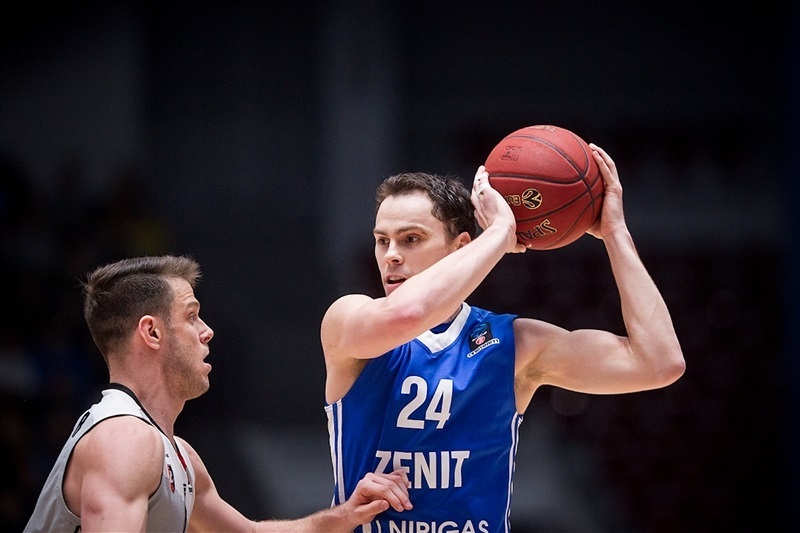 Kyle Kuric netted 20 points to lead six Zenit scorers in double figures. Malcolm Griffin recorded 17 points and 8 assists in his EuroCup debut, Drew Gordon collected 12 points plus 10 rebounds, Sergey Karasev scored 11 and Evgeny Voronov and Marko Simonovic had 10 points apiece. Loukas Mavrokefalidis posted 22 points and 9 rebounds for Rytas, Chris Kramer tallied 10 points and 12 assists; Jimmy Baron had 15 points, 7 rebounds and 4 assists; Rokas Giedraitis added 13 points, 9 rebounds and 4 blocks; and Travis Peterson and Martynas Echodas scored 10 points apiece in a defeat that dropped Rytas to 1-4 and eliminated it from quarterfinals contention. Zenit was running in transition from the start, with Voronov and Simonovic scoring consecutive fastbreak baskets before Griffin’s tip-in made it 10-2. Baron hit a triple for the visitors and Mavrokefalidis went on a scoring run, but Gordon scored 6 points to increase the margin to 20-7. Mavrokefalidis totaled 9 points in the quarter for the visitors, including a triple that cut it to 22-14, but Kuric hit a three-pointer and Griffin scored on a fast break to make it 31-18 after 10 minutes. 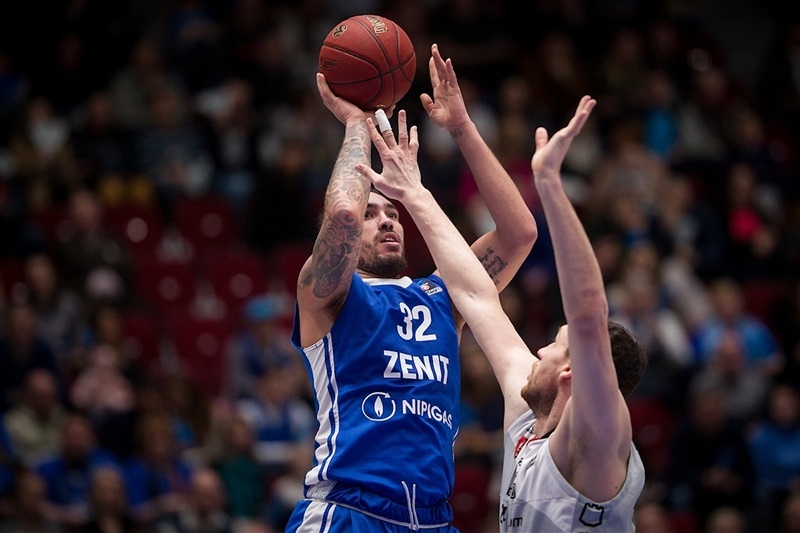 Zenit scored more transition baskets in the second quarter, including Karasev’s three-pointer that opened a 38-21 lead. Karasev and Giedraitis traded triples before a corner three from Kuric and a fastbreak layup from Demonte Harper made it 52-32. 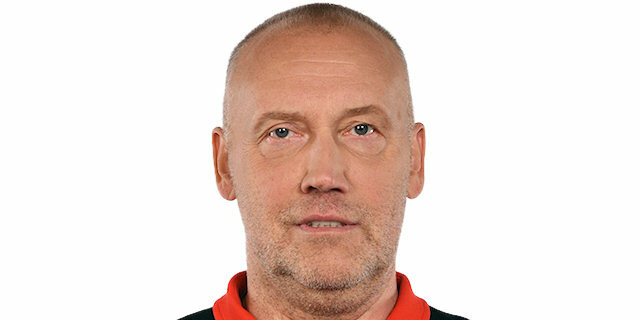 Baron had a three-point play for Rytas, bit Ivan Lazarev answered in the same manner a minute later on the other end as the hosts kept a 20-point margin and went into the break in front 62-42. Simonovic hit a triple and Lazarev had a dunk-plus-foul to immediately extend the margin to 68-44. 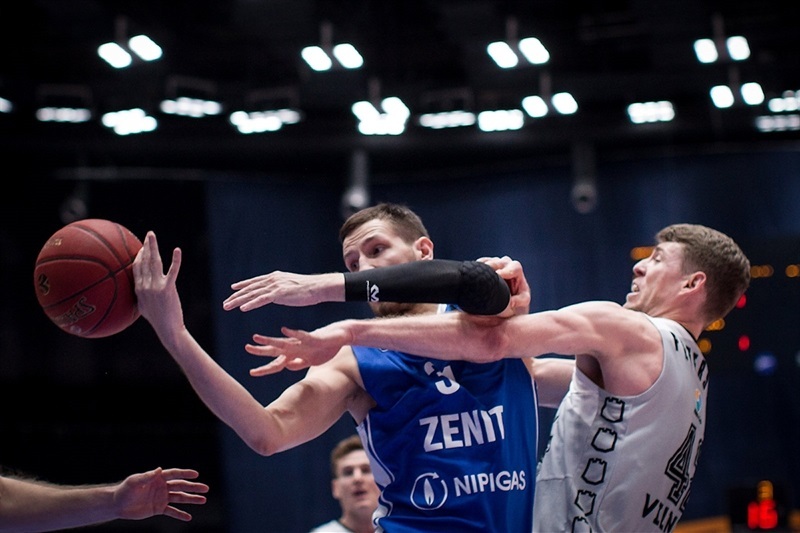 Echodas answered with an alley-oop dunk and Mindaugas Girdziunas added a triple for the visitors to make it 70-52, but Zenit quickly pushed the margin over the 20-point barrier. In the final two minutes of the quarter, however, Mavrokefalidis hit a pair of triples and Baron made another as Rytas closed within 85-67. 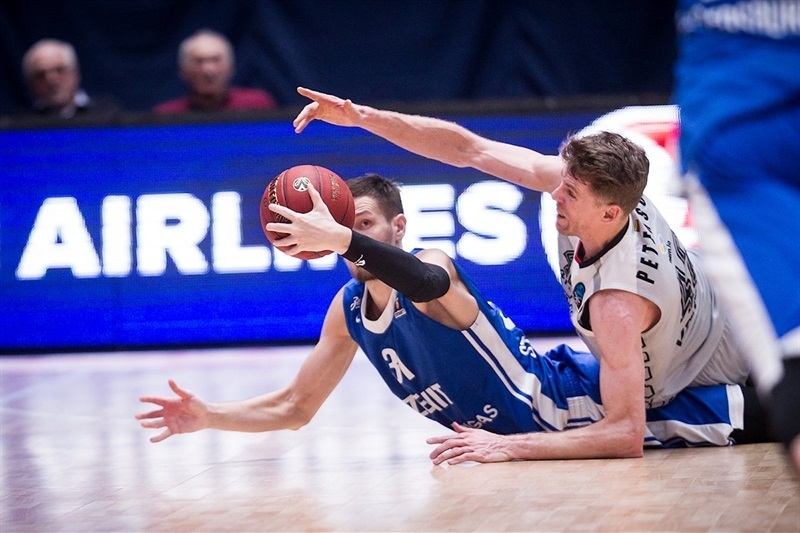 In the first three minutes of the fourth quarter, Ben Madgen connected on three consecutive three-pointers as Rytas rallied to within 90-78 and forced a Zenit timeout. Kuric hit a triple for the hosts, but Peterson scored 6 points, including a three-point play that cut it to 97-86. 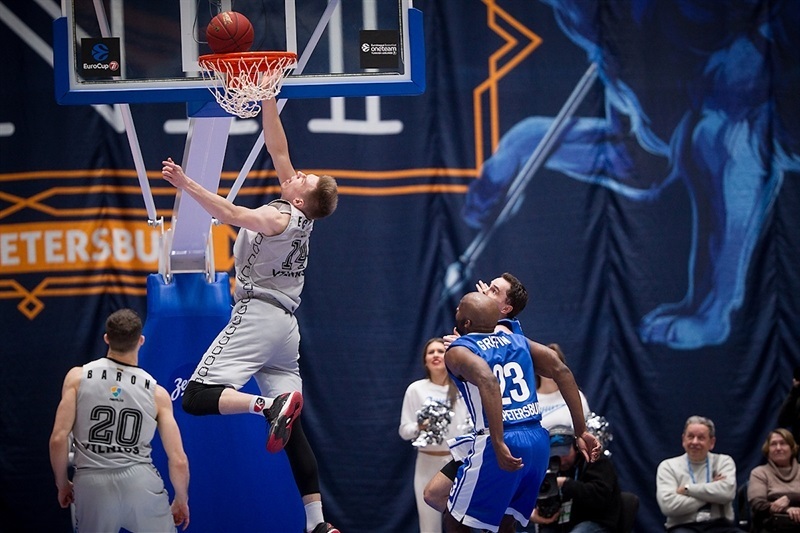 Rytas applied a full-court press, and got even closer when Kramer and Echodas connected for an alley-oop dunk that made it 100-92 with three and a half minutes to go. However, Kuric picked up a loose ball for a layup and then raced for a fastbreak dunk. Griffin’s fastbreak layup opened 107-93 lead with two minutes to go which effectively sealed the outcome. "We started to play very well with good defense. That is why we had the chance to make fast breaks, scored some easy points, moved the ball well. In the third quarter we started to think that the game was over and the victory was ours. Because of this the fourth quarter was a bit nervous, however we were able to win it." "There are some days when you are just weaker than your opponent. 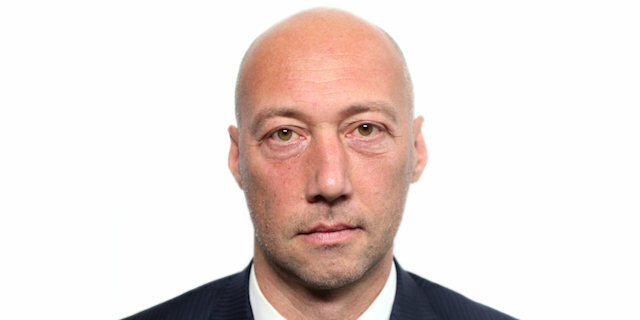 We had a worse shooting percentage than Zenit and let them to make fastbreaks. Today Zenit was stronger and deserved the victory."